First PC build for quite a few years. Decided to go a mITX build with gaming capabilities. This has turned out to be quite the sleeper as coincidentally, most of the parts I ordered turned out to be black. I'm loving the ease of cable management within the main window area, Thermaltake have done a great job with this case. The Corsair H80I v2 was a tight fit in front of the motherboard but not too much of a challenge. The GPU JUST fit, the power port is in a bit of a tricky spot, required a fair bit of manoeuvring to get the cable slotted in. It also bumps up against the radiator, which wasn’t factored in, so I’m lucky it fit! Excellent set. Running at 3200MHz using the XMP profile within the BIOS. RGB lighting is very bright. I'm having issues with getting it all setup correctly as RGB Fusion wants to take over and control them, the limited options within RGB Fusion for lighting options is a little disappointing. The best option is to set it all to colour shift, but the RGB ram is off sync slightly with the motherboard and GPU. Not the RAM's fault, but something to consider. It also glitches every now and then and one of the sticks changes to a different colour, then re-syncs again. Controlling the RGB via the Corsair LINK program is much more reliable and you get much more choice for lighting. Excellent value, a bit slower than the 970 Evo Plus, but as for a static data drive it's still significantly faster than standard SSD or mech HDD. 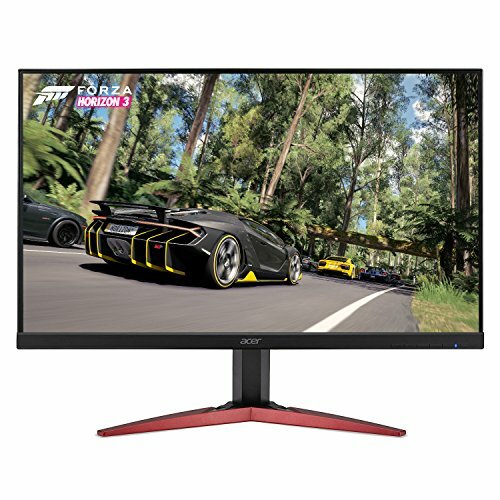 Budget 144hz monitor, no complaints. Given the GPU in the build I didn't see any point in splashing out on a 1440p or 4k screen that I wouldn't be able to utilise properly. Great keyboard. My first mechanical keyboard. Even though they talk about the Romer-G switches being quieter than Cherries, I still find the noise to be significant over a membrane keyboard. So don't expect it to be silent, or even close to a standard keyboard in terms of typing noise. Excellent mouse, very snappy and responsive. I'm not using the RGB lighting so I save a bit of battery there. The battery life is reasonable for the performance you get. 4-6 hours over a couple of days resulted in about 25% of the battery being used. Great headphones, the audio is quite punchy and reasonable bass, without being overbearing. Excellent connectivity, haven't had an issue yet. Given I went with all of the Logitech peripherals, the settings and configuration sit within Logitech G Hub which has made maintenance easy. All RGB lighting has been turned off to save on battery (you won't see the RGB on the headset anyway???). The mic is pretty good, the ability to push it up out of the way and it mutes (you get an audible tone to notify when the mic has been muted or unmuted too). Great speaker, picked up on a sale significantly under their standard price. Speakers are very loud and bassy. Lights are great and I love the video sampling feature, setting boxes within your screen to project ambient lighting depending on what colours are on your screen. I know, I was looking to push the card for as much as I could get. I had the extra cash to go after it. It's my first desktop in a while after moving to desktop replacement laptops a while back, but the laptops are never upgrade-able when it comes to GPU's etc. Wanted to be 100% happy with the parts, think this will tide me over for a few years now. What kind of temps do you get with your H80 v2? I like the thic rad, almost picked it up when it was on sale recently, but I already have a H100 Pro. I would’ve gone for a larger rad if I had the space. The Core V1 can only take the 120mm. I believe the CPU is currently running around 35c, I’ve just received some exhaust fans in the mail and will install tonight. The rad is currently pushing into the case from the front and it doesn’t really have an escape. I’m hoping it helps. I’ve seen a number of builds running these coolers, so it helped form my decision. Cool. Take some more pics, I like the case you choose. 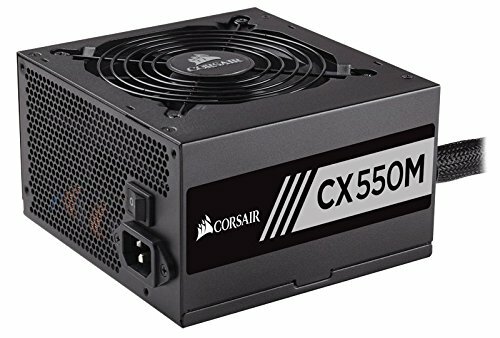 I just built my first PC, also itx, but I'd like to go even smaller. Check it out and +1 if you like. A well executed core v1. Did you put the SSD on the front M2 port or on the back one of your motherboard? Because im about to buy this mb with a Samsung 970 Pro, but id like to mount it on the front one, so that i can use the heatskink. In the front under the heatsink. There’s a sticky pad underneath and you need to remove the plastic from it so it sticks to the m2 drive. I’ve just bought another 1tb for storage that I’m literally about to install into the back port. Intel 660P QLC drive. Thank you! I've seen that the heatsink has a blue film to be removed, with glue under it. Did you remove the sticker on the ssd or did you left it there to avoid the direct contact between glue and circuits? You have a pretty big heat-sink on the M.2 so the heat shouldn't be problem for you. 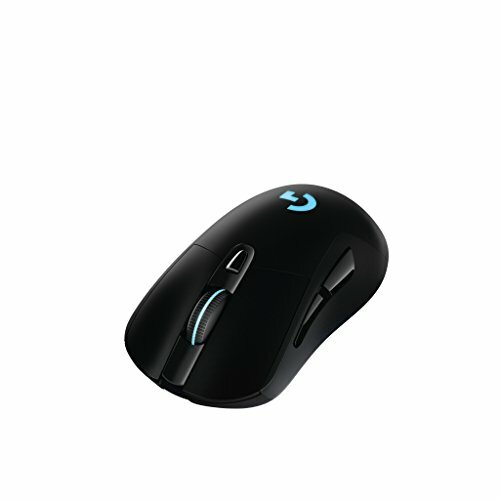 If you don't use the RGB on the mouse, then why not go the G603? Nice build! 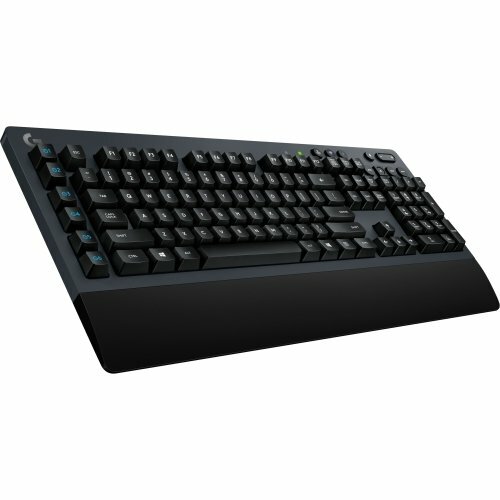 You know I was actually looking at the Razer Nomo (base model). Just want something diff. small form factor & all. 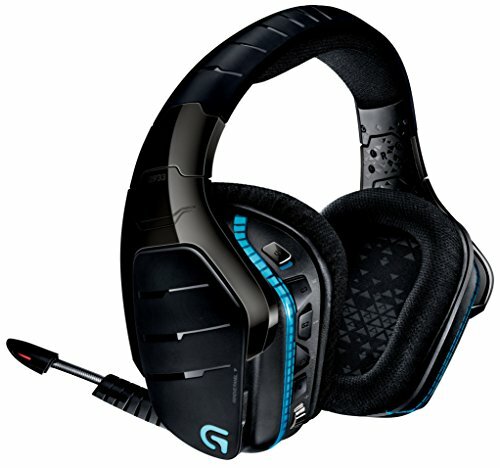 The G560's are nice to but the MX sound maybe an option as well. 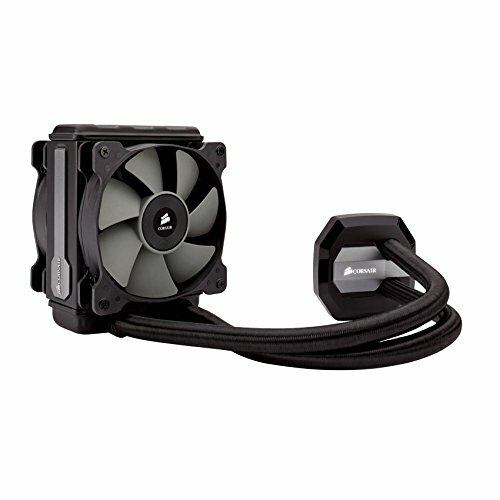 Is you CPU cooler fan configured as intake or exhaust? 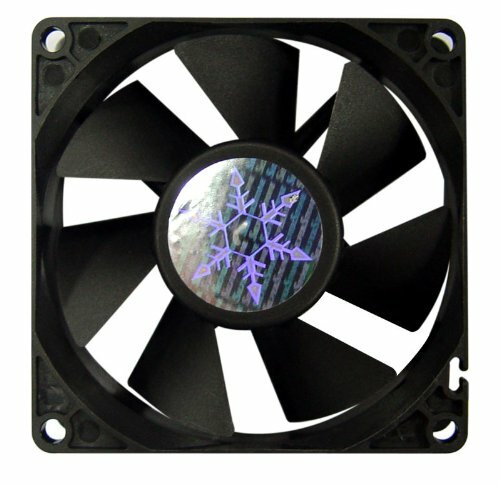 What about the 80mm rear fans? Are your temps still good? CPU idles in mid 30’s and max around 60 or so.